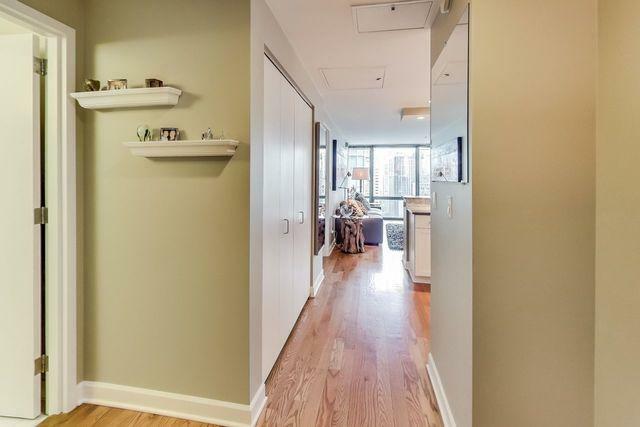 Beautiful East facing 1 bed / 1 bath condo in River North. Premier 01 tier. Floor to ceiling windows fill the spaces with natural light. Hardwood floors throughout. Spacisous and ample organized closets. Designed kitchen features granite counter-tops, full mosaic tile backslash, peninsula w bar. Recessed lighting. In-unit washer and dryer. 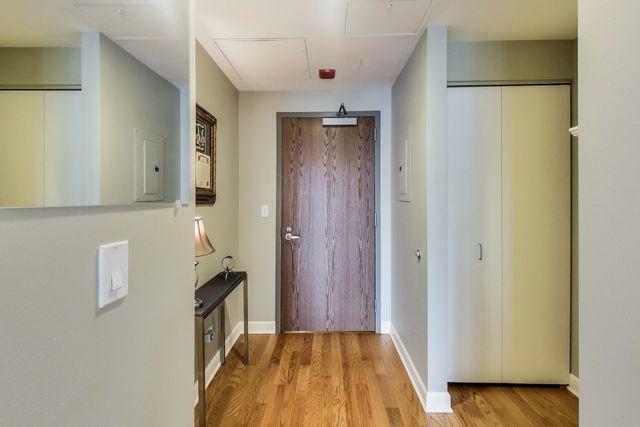 Premium deeded parking #504 additional $35k. 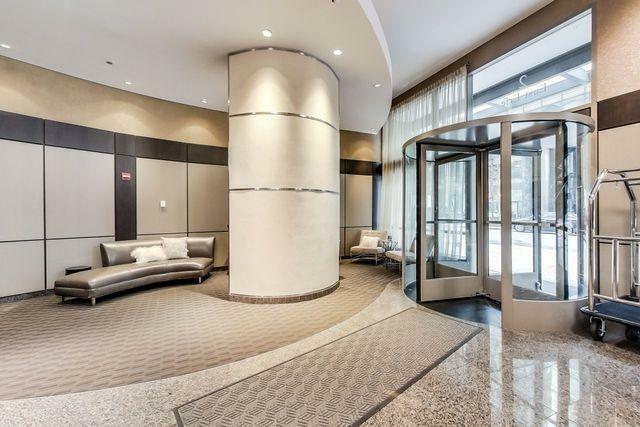 Highly desirable, great location in East River North just off Michigan Ave. 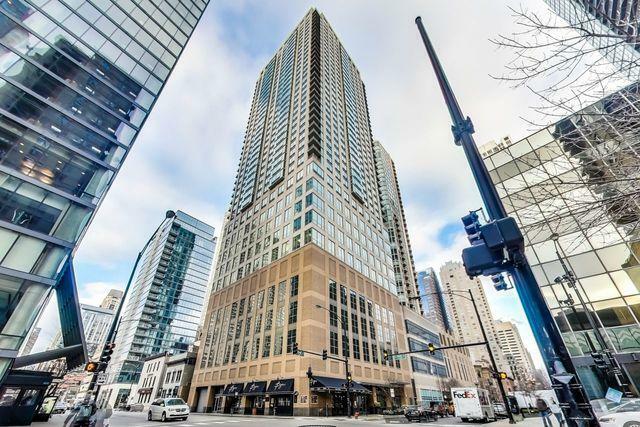 Walk to Jewel, Whole Foods, Dana spa, world class restaurants, theaters, Northwestern, Ohio St Beach, & mag mile. Chicago & Grand Ave EL stops. This building offers all the amenities with 24/7 door staff, rooftop deck, grills, media room & fitness center. Nothing like it on the market at this price. Move in ready.